Utrecht, 27/02/2019 | Truck Parking Europe launches its new Book & Pay feature in the UK market for secure truck parking. Red Lion Café & Truckstop and Chippenham Pit Stop are UKs first to offer Book & Pay on Europe’s leading booking platform for safe and secure truck parking areas. The recently renovated Red Lion Café & Truckstop offers secure parking, a high standard of facilities and good service. It is located in Northampton, between London and Birmingham. Home cooked food, clean facilities and welcoming staff makes this place a great truck parking to rest. It scored five out of five stars for food hygiene via the Food Standards Agency and scores a four star rating in the Truck Parking Europe app. Chippenham Pit Stop recently awarded winner of best Truckstop food and best Medium sized Truckstop is a commercial filling station just off junction 17 of the M4 motorway between City of Bristol and Swindon. Adjacent to the filling station is a lorry park with 95 spaces. Chippenham also offers an outdoor gym to keep drivers fit while being on the road. Drivers give Chippenham Pit Stop a 4,5 star rating via the Truck Parking Europe app. 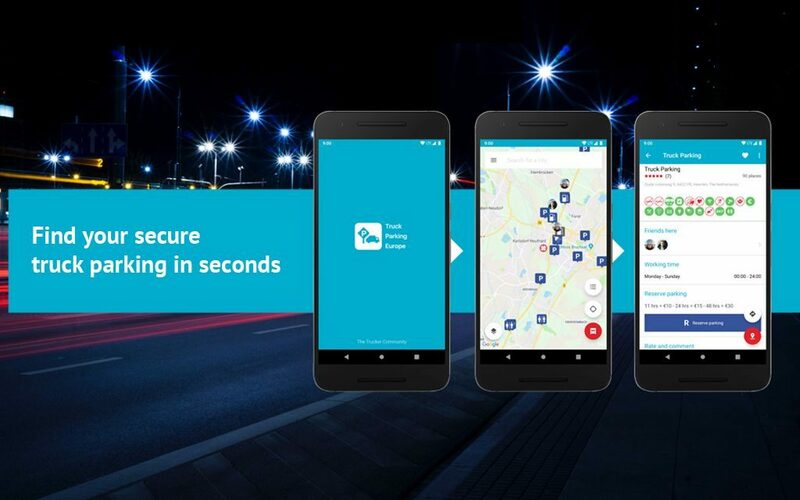 Truck Parking Europe provides drivers with a free app (Android and iOS) to easily filter and find parking locations along their route across Europe. The locations in the app are created and maintained by truck drivers and reviewed by a team of experts. Currently the app holds over 33.800 locations varying in levels of comfort, infrastructure and security.